One might say Georgia’s beef calf values have beefed up in recent years – now 40 percent more valuable than five years ago. Yet high expenses, drought conditions and other influences soften farm profits and create challenges for the state’s number-six commodity. Beef cattle are raised across 99 percent of Georgia’s counties, and are arguably the state’s most broad-based agricultural commodity. 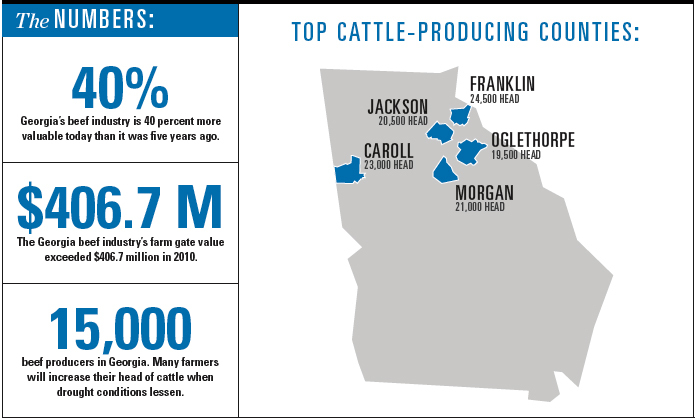 The Georgia beef industry’s farm gate value exceeded $406.7 million in 2010, according to the University of Georgia. That value increased significantly with cattle values in 2012, which beat even 2011 by 18 percent, says Curt Lacy, extension livestock economist with the University of Georgia. Stable demand and shorter supplies account for U.S. beef’s historically high values. Georgia follows the trend. The state’s farmers owned 512,000 head of beef cattle at the start of 2012, according to the National Agricultural Statistics Service. 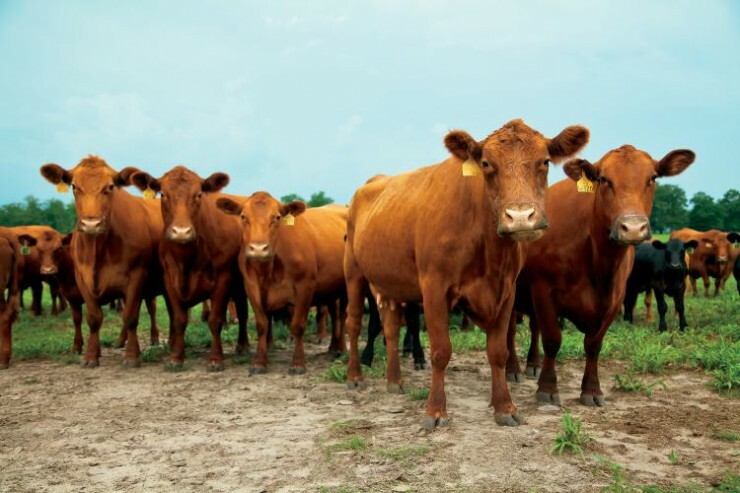 The 2012 beef cow inventory ticked upward 2 percent from 2011, but fell 14 percent in five years. The causes: drought, high feed prices, retiring cattlemen and high crop values. Farmers may generate more profit from an acre of crops than pasture, Lacy says. Intermittent drought conditions in Georgia for the last four or five years put feed stocks and grasses in short supply, says Josh White, executive vice president of the Georgia Cattlemen’s Association. This forced farmers to downsize their herds, particularly in central and southern Georgia, he says. Many farmers who typically might background calves, or feed weaned calves on winter annuals before their move to a feedlot, instead sold them as weanlings due to forage concerns. More than 15,000 farmers produce beef in Georgia. Many will expand when weather becomes favorable for forage production, White says. A potent mix of historically high expenses and commodity values creates more financial risk than previous farm generations ever faced in Georgia. “It takes niche marketing opportunities to survive in the roller coaster ride we’re all faced with in agriculture,” says Hooks, a third-generation cattleman. Hooks’ farm is quite diversified in comparison to his cattlemen counterparts. Georgia is predominately a cow-calf state. About 85 to 90 percent of cattle farms own cows that give birth to calves annually. Those calves generally sell through livestock auction barns to Midwest feedlots, where they are fed to market weight. Likewise, Hooks raises cows and calves, both crossbred and purebred red and black Angus. The difference lies in what happens next. He sells some of his calves through an Internet video-based marketing company he co-owns. He also feeds most of his calves, about 600 annually, to market weight on his farm. He chooses a grass-fed diet to tap into the niche demand from health-foods stores and similar entities. Animal compassion and welfare play vital roles in his business. 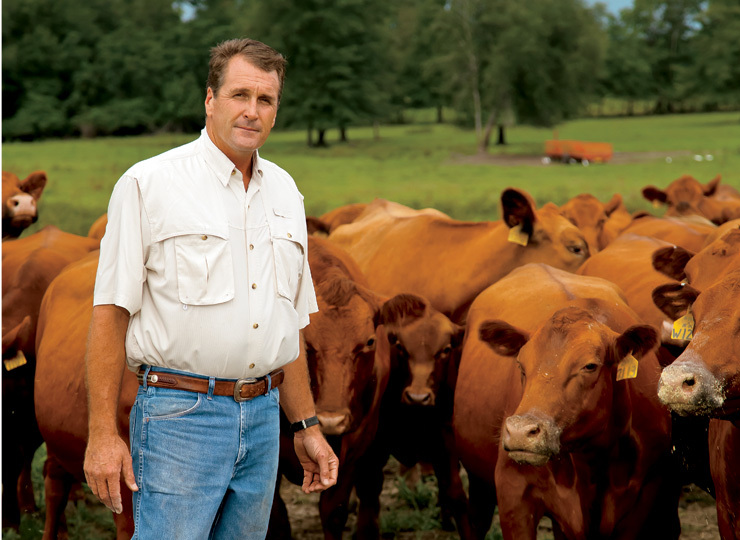 He markets through a grass-fed alliance, which takes these cattle from pasture to plate. In addition, he offers custom grazing and finishing of grass-fed cattle on his farm and owns a livestock hauling business. The below-normal moisture of the last few years impacted his farm’s forage supply, too. However, he never downsized his herd in response. He used his rye grass silage inventory and found dependability in his irrigated hay. At 75 miles from the coast, his farm also benefited from more moisture than other parts of the state. Meanwhile, Hooks manages risk with his niche markets and forward contracts. He attempts to stay ahead or on top of the market to be less driven by drought and other market influences. An estimated 900,000 beef cattle graze in all but one of Georgia’s 159 counties, Lacy says. The cattle industry demonstrates a stewardly use of Georgia’s natural resources. The bovines can graze on harvested fields and land undesirable for crop production. In other words, farmers can produce food and income from marginal land. And to the passerby, these pastured cattle paint a pretty scene on the state’s landscape. I am Dr of veterinary medicine and I am owner a dairy cattle and we are producing about 3000 Kg milk daily.